Trout Lake John Henry Park across the street as well as the New Community Centre and Olympic Legacy facilities. This wonderful 50's bungalow has been nicely updated and sits on a fabulous 174' deep western exposed lot with lane access. 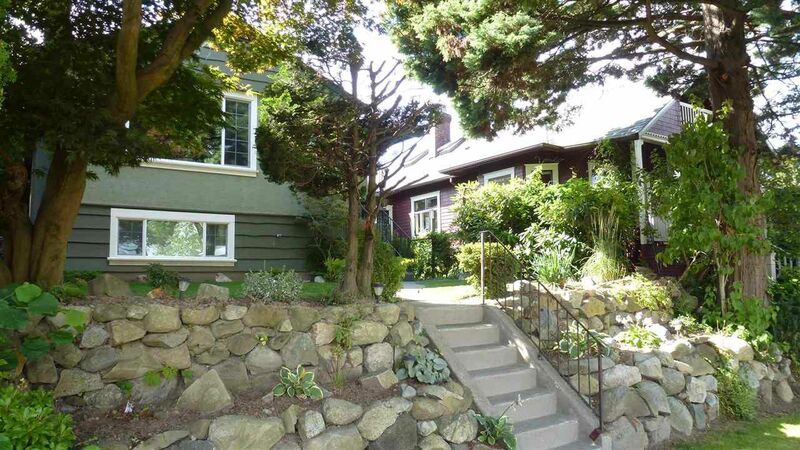 2 bdrms + office up with h/w floors, gas f/p, laundry, new double windows and updated kitch + bath. Legal 2 bdrm garden suite with high ceilings has f/p & insuite laundry rents @ $1920 Effective June 1. Incredible yard with sun-drenched deck, firepit, + water feature. Room for large RV trailer and single garage ideal for a laneway house. Open Sunday April 7, 2019 from 2-4 p.m.